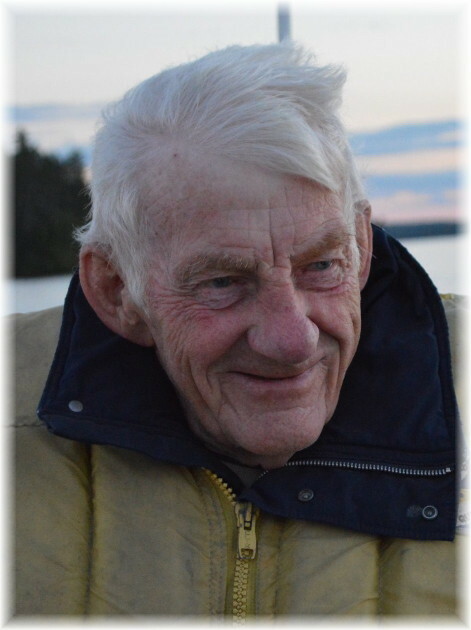 Mr. William “Bill” McIvor Smith, age 81 years, passed away unexpectedly at his residence on Friday, October 26, 2018. Bill was born in Fort William on March 17, 1937, the youngest child of James and Jesse Smith. James, Jesse and his two older brothers, Alan and Robert, emigrated from Scotland to Canada in 1929, after which they had three more children, Christina, Jerry and Bill. Bill attended Francis Street School and Selkirk High School and went to work at Johnson and Boon as a teenager. He later delivered pop for Doran's Brewery. From there he went to Great Lakes Paper, retiring from Bowater as a boss machine tender after 39 1/2 years of service. Bill met Sharon while working at Johnson and Boon when they were still teenagers. After dating for 8 years they got married in 1962. This past September they celebrated 56 years of marriage. 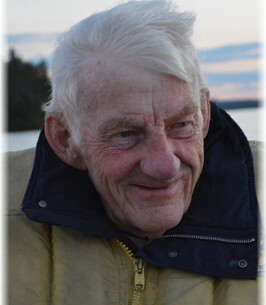 Bill was always active; playing hockey, camping, bowling, curling, fishing and hunting. He enjoyed children, animals of all kinds, and birds. He especially loved his granddogs. Bill was well known for his sense of humour. He was always teasing, joking and “getting others going”. Having a family was Bill's greatest accomplishment, first as a dad to his 2 daughters Sherri and Shelly. He was so proud of them. He was there for every school or church event and for every life milestone. Bill was the most ecstatic grandfather ever. He waited a long time for his first-born grandson Cory and was so happy when his 2 granddaughters Sierra and McKayla soon followed. He was there from each of their first moments and never missed a sporting event, dance performance or school event. He was their biggest cheerleader. Bill was a favourite uncle to many nieces, nephews, great-nieces and great-nephews; attending their special events and always thinking of them. Many kids also adopted Bill as their grandpa or uncle and he went to their events as often as his own family's. His favourite days were spent anywhere with family, travelling, camping, on the lake, at a hockey game or at home around the dinner table. He will be greatly missed by his wife Sharon (nee: Walberg); daughters Sherri (Al) Pharand and Shelly (Joe) Gaudreau; and grandchildren Cory Pharand, Sierra and McKayla Gaudreau. He also leaves his brothers Alan (Lorraine) Smith and Jerry Smith (Carole Erickson), as well as many nieces, nephews great-nieces and great-nephews. He was predeceased by his parents James and Jesse Smith; sister Christina “Chrissy” Elvish; brother Robert “Bert” Smith; sisters-in-law Margaret, Kay and Mildred “Millie” Smith; and mother & father-in-law Edwin “Ed” and Rose Walberg. Funeral Services will be held on Tuesday, October 30, 2018 in St. Thomas Anglican Church at 11:00am with Rev. Jonathan Blanchard officiating. Interment will take place in Riverside Cemetery. Visitation will be held on Monday evening from 6:00 to 8:00pm in the WESTFORT CHAPEL, 420 West Gore Street at James. In lieu of flowers, donations to the Northern Cardiac Fund, St. Thomas Church Family Giving Centre or a charity of your choice would be appreciated. To plant a tree in memory of Mr. William "Bill" Smith, please visit our Heartfelt Sympathies Store. We encourage you to share any memorable photos or stories about Mr. William. All tributes placed on and purchased through this memorial website will remain on in perpetuity for future generations. Condolences to the Smith family, our thoughts and prayers are with you. Appreciated Bill’s love for the outdoors and never leaving the kids behind when he went fishing. My heartfelt condolences go out to the Smith family. May you be comforted by the outpouring of love surrounding you in this difficult time. Deepest condolences Sharon and family.I was saddened to hear the sudden and unexpected passing of Bill.Thinking of you in this difficult time. Dear Sharon & family. I'm so sorry that I can't attend Bill's service due to prior appointments. Please accept our deepest condolences at this difficult time in your lives. Smitty was a pleasure to know & work with all those years on the paper machines. He was my backtender & boss for years until his retirement. I always enjoyed his practical jokes & stories. I will never forget the time when we were on strike & I was delivering pizza's & I dropped a couple off for the boys. I didn't know but smitty wiped his mitts in the fire barrel came over & grabbed my cheeks wiping the black soot on my face. I then drove to my next delivery not knowing about the soot. The look on the woman's face when she came to the door was priceless! Just a funny story for sharing. Again please accept my deepest condolences. Our very deepest condolences to your Family at this difficult time . Bill was always a presence at the rink with his cheers and candy. He always had wonderful stories and always was had something to say at a game ... he will be truely missed . Sending our deepest condolences to your families. Bill will always be remembered as a kind, gentle soul in our hearts. Sending hugs and prayers to all of you during this difficult time. Sending confronting hugs to Sharon, Sherri and all the family, from one of Mr Smith’s (Bill) adoptive family members that he always called Jenny Beans. So many memories to mention a few drives in Vickers Heights Broadway Avenue reminds always me of Bill, the Skyline and so many offers for spaghetti. He always had time to talk share a joke and always a piece of candy. Our deepest sympathy and love Jenn, Wayne Alexis and Shirley.